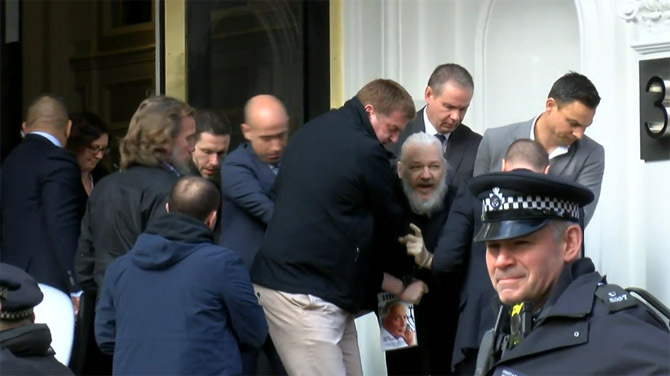 April 12, 2019 Prime Minister Scott Morrison has confirmed Australia is providing consular assistance to Julian Assange following his arrest in London but the Wikileaks founder will receive “no special treatment”, even in the wake of a US extradition request. An Australian citizen, Assange had been living in the Ecuadorian embassy for more than six years until that country ended his political asylum on Thursday for “discourteous and aggressive behaviour” and WikiLeaks’ “hostile and threatening declarations” against Ecuador. He was charged with skipping bail by entering the embassy in 2012. Appearing in Westminster Magistrates’ Court four hours later, he pleaded not guilty, claiming he had a reasonable excuse for seeking asylum as his arrest would end in his extradition to the US. That extradition request, on charges related to the publication of vast quantities of classified information by Wikileaks, is forthcoming but will be fought by Assange’s lawyers…..
House Appropriator Throws Cold Water on Consent-Based Siting for Nuclear Waste BY EXCHANGEMONITOR 10 Apr 19, There is little hope for a consent-based approach to selecting the site for a U.S. radioactive waste repository, a key appropriator in the House of Representatives said Tuesday. “I know of no community that will become a permanent repository for nuclear waste based on consent,” said Rep. Mike Simpson (R-Idaho), ranking member of the House Appropriations energy and water development subcommittee. Simpson was responding to a plea against funding the planned waste disposal site under Yucca Mountain, Nev., from Rep. Dina Titus (D-Nev.). Titus was among more than 20 lawmakers who appeared before the subcommittee during a member day hearing to argue their case for programs to be included or excluded in the upcoming House energy and water appropriations bill for fiscal 2020. 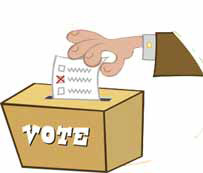 Morrison’s loopy campaign against EVs may turn out to be his Prince Philip moment, when it dawns on the public that the entire government is locked in the past. The post Electric vehicles: Could this be Scott Morrison’s Prince Philip moment? appeared first on RenewEconomy. If you think a Labor win will end the climate and renewables scare campaign, think again. But there’s hope, in the form of a new, open economic modelling platform. The post Call this a scare campaign? It’s nothing compared to what we will see, post election appeared first on RenewEconomy. Mark Butler says Coalition would condemn Australia to becoming an island of automotive antiquity, while under Labor policy sales of EVs should “take-off” at little cost. The post Butler: If Australia doesn’t embrace EVs, it’ll end up like Cuba appeared first on RenewEconomy. The Coalition claims that EVs are going to destroy our way of life. So, here are a couple of reminders about the reality of electric vehicles. The post Some facts about electric vehicles for the Coalition appeared first on RenewEconomy. Siren sounds on nuclear fallout embedded in melting glaciers https://phys.org/news/2019-04-siren-nuclear-fallout-embedded-glaciers.html, by Patrick Galey, 10 Apr 19, Radioactive fallout from nuclear meltdowns and weapons testing is nestled in glaciers across the world, scientists said Wednesday, warning of a potentially hazardous time bomb as rising temperatures melt the icy residue. For the first time, an international team of scientists has studied the presence of nuclear fallout in ice surface sediments on glaciers across the Arctic, Iceland the Alps, Caucasus mountains, British Columbia and Antarctica. “They are some of the highest levels you see in the environment outside nuclear exclusion zones,” said Caroline Clason, a lecturer in Physical Geography at the University of Plymouth. 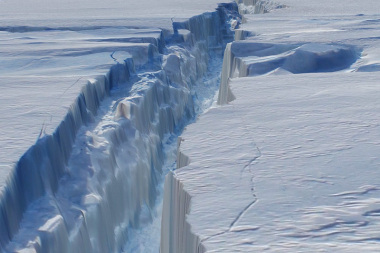 But when it falls as snow and settles in the ice, it forms heavier sediment which collects in glaciers, concentrating the levels of nuclear residue. 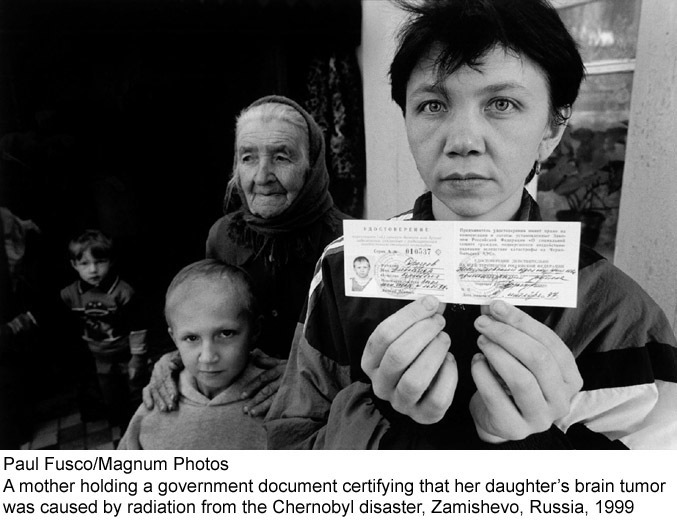 The Chernobyl disaster of 1986—by far the most devastating nuclear accident to date—released vast clouds of radioactive material including Caesium into the atmosphere, causing widespread contamination and acid rain across northern Europe for weeks afterwards. Whereas Plutonium has a half-life of 14 years, Americium lasts 400. “Americium is more soluble in the environment and it is a stronger alpha (radiation) emitter. Both of those things are bad in terms of uptake into the food chain,” said Clason. While there is little data available on how these materials can be passed down the food chain—even potentially to humans—Clason said there was no doubt that Americium is “particularly dangerous”. As geologists look for markers of the epoch when mankind directly impacted the health of the planet—known as the Anthropocene—Clason and her team believe that radioactive particles in ice, soil and sediment could be an important indicator. “These materials are a product of what we have put into the atmosphere. This is just showing that our nuclear legacy hasn’t disappeared yet, it’s still there,” Clason said. Australian researchers are developing short-term weather forecasts for solar farms to help them precisely predict output as little as five minutes in advance. The post Five-minute forecasting to boost solar and wind and battery investments appeared first on RenewEconomy. Planet Ark Power’s electricity grid-transforming solution wins at Startup Energy Transition Awards Berlin. The post Revolutionary Australian Clean Energy Startup Wins Global Award appeared first on RenewEconomy.